Bandai Namco kicked off their multi-city #TekkenTour at Final Round 19 last month in Atlanta, GA March 18-20th. Tekken game director Katsuhiro Harada and game designer Michael Murray flew in from Japan to grace Tekken fans with their presence and to kick things off as well. Atlanta has on of the most competitive scenes for Tekken in America, also being home to champions like ATL Hoa (aka Anakin) and Speedkicks. The tour will travel across the United States for most of the year promoting their game Tekken 7 and giving fans a chance to play the upcoming Tekken 7: Fated Retribution. 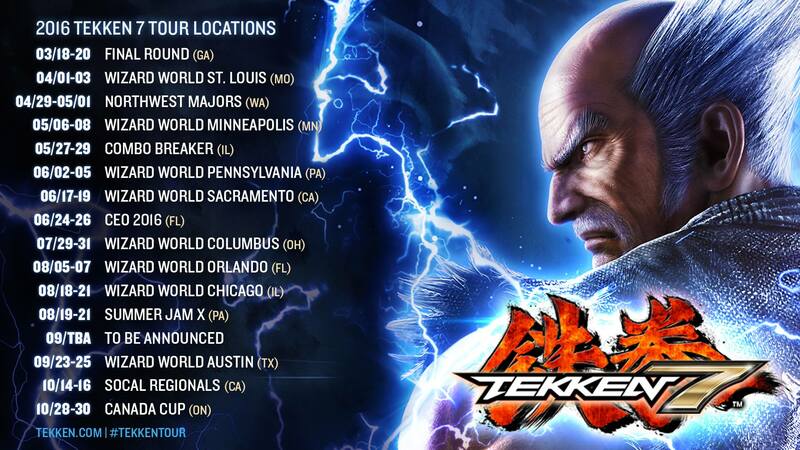 They will also be hosting Tekken tournaments at these stops with free entry and a $3,000 prize pool. They’ve released an official recap video of their first stop in Atlanta, and in it you’ll see Speedkicks (winner of TTT2 at FR19), ATL Hoa, Rip, N8nmonster, RenoFace, PokChop (a favorite at Final Round) and more. It’s good to see Bandai Namco with these kinds of marketing efforts, because it causes the community to grow when the developer is involved. Check out the video below, and let us know how you like it.